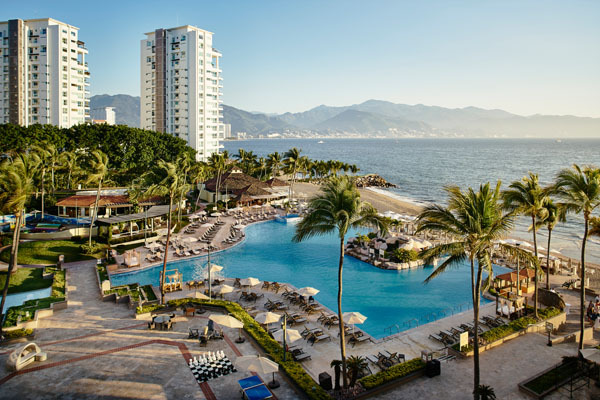 Even if it’s too cold to enjoy a Northeast spring, it is time to pack up and leave for paradise, or more precisely Puerto Vallarta, even if it is just for a few days. 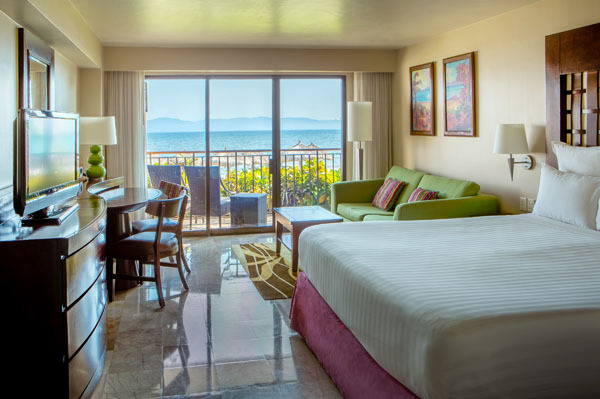 The hotel of choice is the Marriott Puerto Vallarta Resort & Spa. It is beautifully situated on a sandy strip between the Sierra Madre Mountains and Banderas Bay. 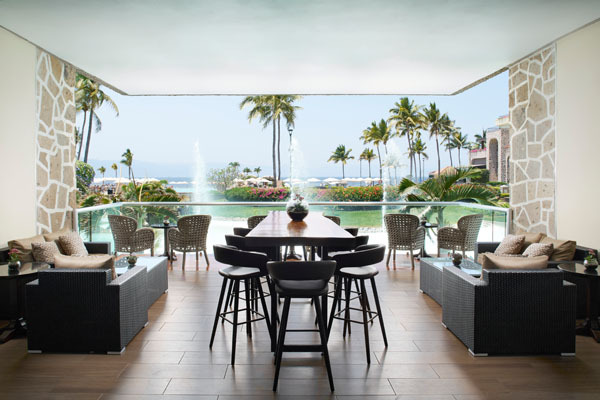 With its infinity pool and water sports center, four full-service restaurants, the brand new lobby bar and its very own tequila education program, there seems to be no shortage of things to do. The perfect welcome to the resort is to enjoy the sunset guacamole and signature margaritas at Las Casitas restaurant. It overlooks the beach and you are perfectly situated to enjoy the legendary and breathtaking sunsets over Banderas Bay. The restaurant has a great menu of fresh seafood and regional specialties. The lobster tacos and the Red Snapper are to die for! A great way to start your first morning is to visit Ohtli Spa, which is recognized as one of the best spas in Mexico. It’s also the largest and most beautiful spa in Puerto Vallarta. Arrive a little early to take advantage of the Roman tubs, plunge pools, the different saunas and steam rooms. 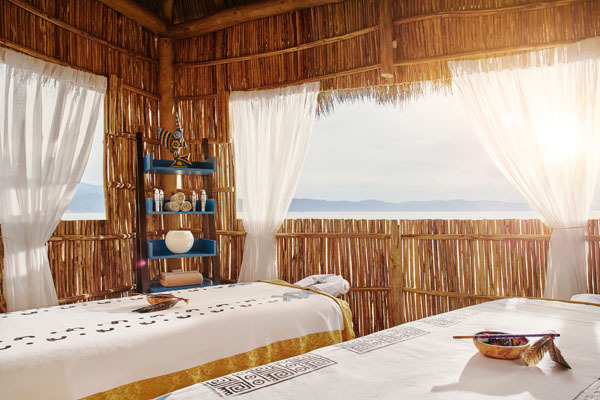 The Ohtli Spa introduces ancient healing traditions from the Huichol tribe fused with modern techniques to help achieve the perfect balance between body, mind and soul. Apart from a rich choice of massages and facials, you can also experience unexpected, transformative treatments such as the water-based Jantzu Rebirth Therapy or an Aztec Chocolate Body Wrap. After this unique experience you are in the right mindset for a healthy and traditional lunch, in other words, ceviche! 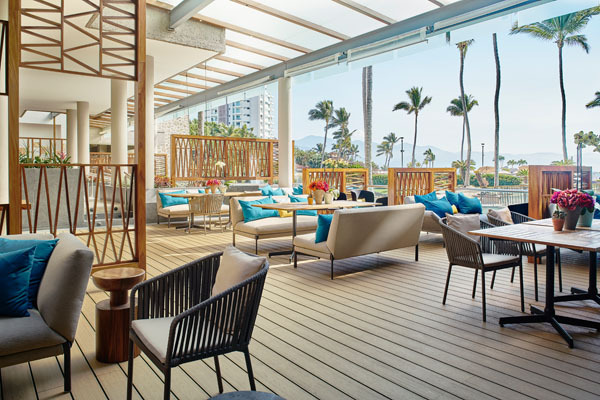 At the brand new ceviche bar near the lobby you can watch Top Chefs prepare a variety of unique and incredibly tasty ceviches right in front of you. The rest of the afternoon is best spent in the beautiful infinity pool overlooking Banderas Bay. 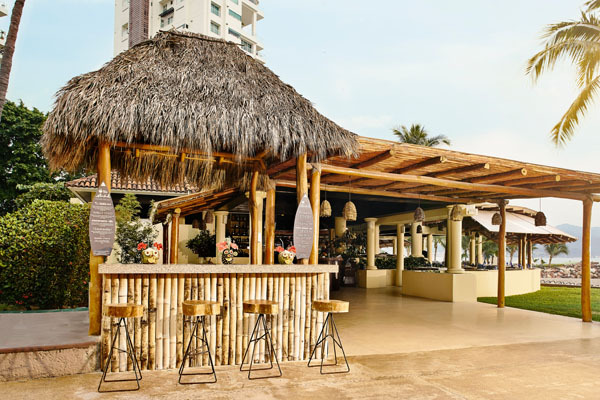 Enjoy an ice cold margarita at the swim up bar and think about your friends back home shoveling snow. After all of this relaxation it is time for a nice sunset walk on the Malecon, the beautiful esplanade along the waterfront in Puerto Vallarta. Amazing modern sculptures of renowned artists will keep you culturally entertained on this breathtaking sunset walk. Don’t forget to venture into the little side streets and see the beautiful traditional stores and small market places, with local people playing music and dancing. The perfect finish for this special trip into town is a fine dining experience. The best choice for this is of course Cafe Des Artistes. World renowned Chef Thierry Blouet created this visual and culinary masterpiece, serving indulging Mexican inspired French cuisine. From its modern and artistic decor, including the different areas of the restaurant designed so different from one another its as if you’ve entered completely different worlds, to the chef’s enticing gourmet dishes, this upscale restaurant offers a gastronomic journey that can hardly be topped anywhere else in the world. It’s another morning in paradise and now it’s time to set sail and explore the hidden cove of Las Caletas. This spectacular beach hideaway once used to be the private home of film director John Huston. This beautifully designed retreat is perfect for snorkeling, kayaking, or just relaxing in a hammock. There are a number of little beach bars and the waiters will come right up to your hammock and serve your drink of choice. Talk about a perfect day of relaxation! After a great lunch buffet in the lush outdoor jungle restaurant it is time to head back to the boat. The beautiful and entertaining boat ride along Banderas Bay takes you back to the resort in time for the legendary tequila tasting. 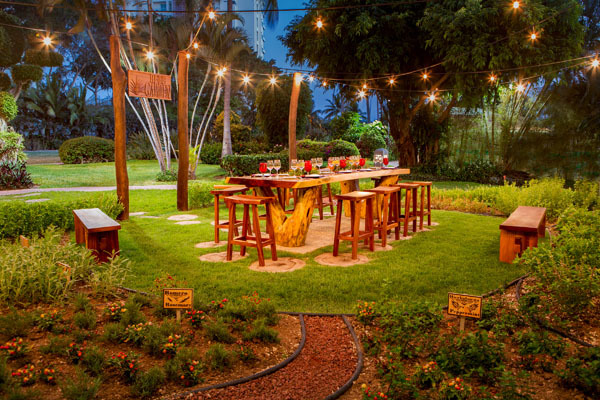 Marriott Puerto Vallarta even grows its own blue agave on property in the cactus garden. It is one of only a few resorts in the world with a propriety brand of tequila, the Casa Magna. Another one of the unique specialties of this resort is the tequila education program. Authentic Mexican tequila, such as the Casa Magna, is made to be “sipped” in order to savor the flavor. This art form requires the proper training. For this reason the resort offers the expertise of Audrey Formisano, Tequilier. You can experience and learn about the varieties of Blanco, Reposado, Anejo and Extra Anejo first hand. Additionally, the resort offers more than 60 brands, with 180 different tequilas by the class. To perfectly top off the lesson in essential Mexican culture you have to experience the “Dine Around Mexico” six course tasting menu. This delicious geography lesson lets you sample dishes from a number of different states of Mexico. This quintessential Mexican experience will leave guests with unforgettable memories for a long time to come.